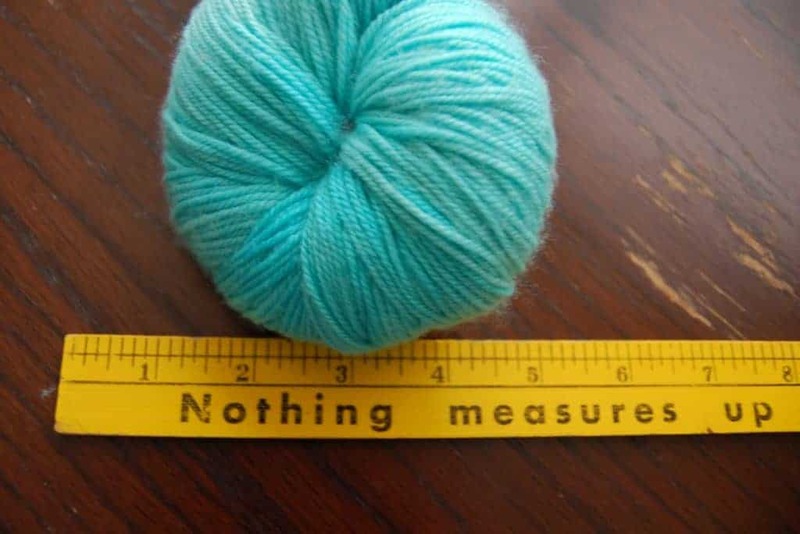 There’s always a ton of stuff going on in the fiber world — so much that I wouldn’t be able to write about it all (Knitter’s Review has an amazing calendar of events if you want to add more to your list). But, there are a couple of yarny things going on this weekend that are a bit “close to home” for me. One is the eighth annual Homespun Yarn Party, which takes place on Sunday, March 22, in a renovated mill in Savage, Maryland. I got to attend the event two years ago and it was definitely an inspiration for the Rhinebeck Trunk Show, with table upon table of beautiful hand-dyed yarn and handmade accessories. This day-long festival is put on by a team of volunteers and features many talented indies, including two who are familiar to Indie Untangled readers: Vicki, AKA That Clever Clementine, will be selling her adorable bags and notions pouches (she will also be giving out some Indie Untangled “pieces of flair” and mini-skeins from Berry Colorful Yarnings). Sandra of Duck Duck Wool will have her lovely hand-dyed yarn. The talented and I-hope-she-posts-on-IU-soon Anne of A Little Teapot Designs will be selling her jaw-droppingly beautiful handspun yarn and jewelry, as well as her Lotion Baah lotion bars. The other event is much newer, but has the same volunteer spirit behind it. The first Long Island Yarn Crawl is going on Thursday through Sunday, March 19-22. I heard about the crawl though one of the organizers, Kim, who was promoting it at Vogue Knitting Live. Kim and I had met this past summer at Knit, an LYS in Roslyn, where Cephalopod Yarns had one of their last trunk shows. I had taken the train out to wish Sarah well, and of course get my hands on some Montauk Monster, and ended up staying late and knitting with Kim and her knitting group. It’s a warm and welcoming place, so it came as no surprise to me that the idea for the yarn crawl grew out of discussions at the knit night there. As a native Long Islander, I was thrilled to see the area’s LYSs in the spotlight (and I LOVE the logo!). Kim, who grew up in Great Neck, and her yarn crawl co-organizer Kerry, who moved to the Island 10 years ago, say they wanted to bring together the knitting community there. Kerry adds that even though Long Island is aptly named, she was inspired by the successful I-91 shop hop through Connecticut, Massachusetts and Vermont, and though they could make it work. Some of the shops that are on the crawl have a special place in my knitting history. Aside from the nice experience I had at Knit, I also picked up one of my first skeins (Araucania Pomaire Multy) at Infinite Yarns in Farmingdale. The Village Knitter in Babylon was where I bought my first skein of Skein, which I used to make a Henslowe for my grandma’s 88th birthday. And, over the summer, my uncle introduced me to Terri, the owner of The Knitting Corner in Huntington, which has a great Madelinetosh selection (her husband, Steve, runs the nearby Mediterranean Snack Bar, a Huntington fixture that serves delicious Greek food). Many of the shops will be highlighting local dyers, fiber businesses and designers, and participants can also donate knitted and crocheted hats and blankets for preemies at two local hospitals. If you’re in the area, you can also check out what’s planned, and get restaurant suggestions, on the Ravelry group. This entry was posted in Events and tagged Homespun Yarn Party, indies, Long Island Yarn Crawl, yarn.